Improving staff training in care homes improves quality of life and reduces agitation for older people with dementia. Better staff training reduces reliance on medication, new research has demonstrated. A team jointly led by the University of Exeter, King’s College London and Oxford Health NHS Foundation Trust examined the effectiveness of staff training and medication on 549 people in 69 care homes with significant levels of agitation in dementia. The research was funded by the National Institute for Health Research and published in Alzheimer’s & Dementia: The Journal of the Alzheimer’s Association. It compared the experience of residents receiving usual treatment to those receiving treatment under the Wellbeing and Health for people with Dementia (WHELD) training programme. The team analysed outcomes on agitation, quality of life and health and social care costs. In each area, WHELD performed better than current treatment. Older people had fewer emergency or routine hospital admissions and fewer GP visits as a result of a reduction in agitation saving up to £4,000 per care home over the nine-month study – or up to £2,000 once the cost of delivering WHELD was taken into account. 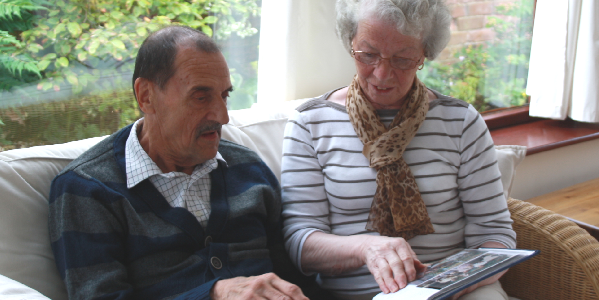 The WHELD programme involved training two carer “champions” from each home to deliver person-centred care, which involves individuals in the decisions that affect them. Previous research has found that the average care home resident engages in just two minutes of social interaction in a six-hour period. WHELD increased this to ten minutes of activity, focussed around the interests of the resident. It also included GP training to reduce prescribing of antipsychotics. The paper, titled ‘Improving the quality of life of care home residents with dementia: Cost effectiveness of an optimised intervention for residents with clinically significant agitation in dementia’ is published in Alzheimer’s & Dementia: The Journal of the Alzheimer’s Association. Authors are Renee Romeo, Darshan Zala, Martin Knapp, Martin Orrell, Jane Fossey, and Clive Ballard.